Eicher is the perfect place to celebrate your love! 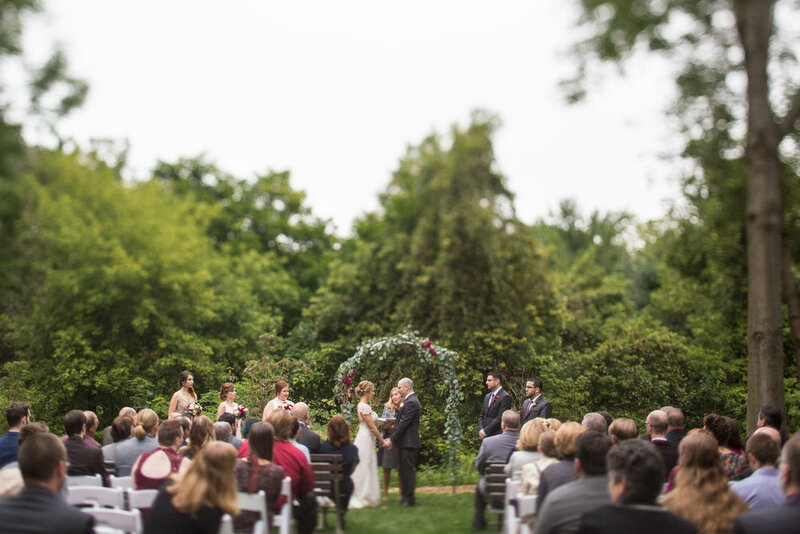 Overlooking the Cocalico River, the outdoor ceremony space at the Eicher Arts Center is truly romantic & unique. It is surrounded by wooded trees & the winding river, making the environment of your day serene and full of nature. Move into the Grand Room for a sit down meal with a caterer of your choice, and then dance under the stars on the patio and grounds. Make irreplaceable beautiful memories by hosting your wedding at the spectacular Eicher Arts Center! The serene setting of Eicher Arts Center in the heart of Ephrata makes for a beautiful setting that is conveniently located. 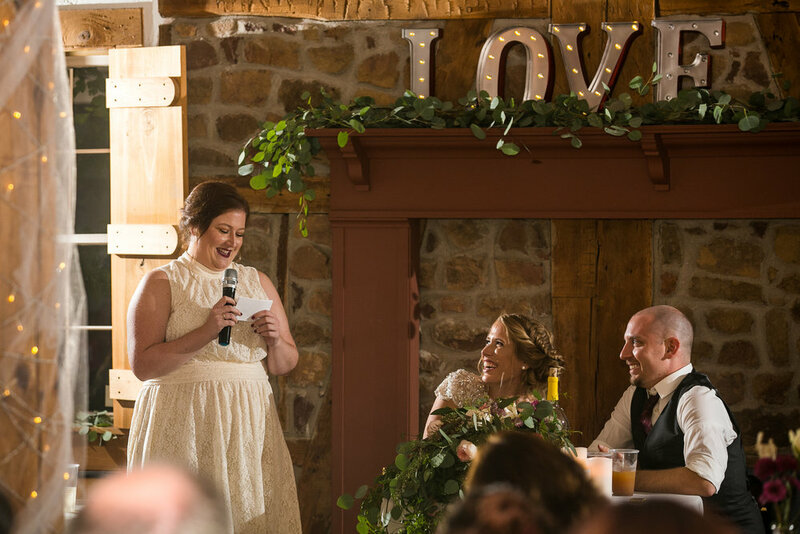 Truly this space has such personality with the rustic, antique materials used in the building, creating a warm & inviting wedding day for your guests. The lush foliage as a backdrop only makes your day even more idyllic & unforgettable! The Eicher Arts Center is unique & unlike most venues - you get to set up the space exactly how you'd like! Jim & Joan work with you to make sure you have the ability to arrive early (sometimes even the day before your event!) to set up & decorate the space exactly how you envisioned it, making the day of your wedding stress-free. There are outlets all over the interior, and exterior, which makes decorating extremely convenient! There is ample parking at the Eicher Arts Center. 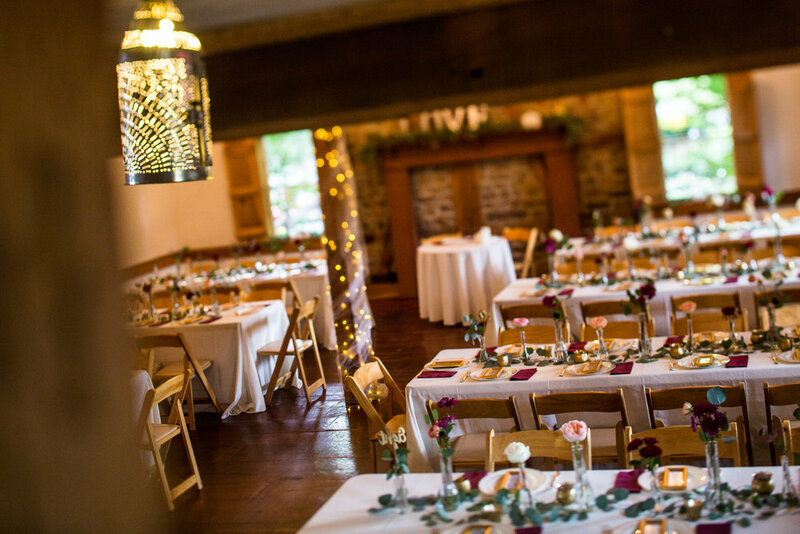 The large, yet intimate, Grand Room is perfect for your reception (and feel free to bring a caterer of your choice!). The large porch, and even larger green space outdoors, means there is a lot of areas for your guests to explore! It has a very large kitchen that was created with your caterer in mind. There is a beautiful loft upstairs with a small back room and a large oval table; the perfect place for the bride to get ready. 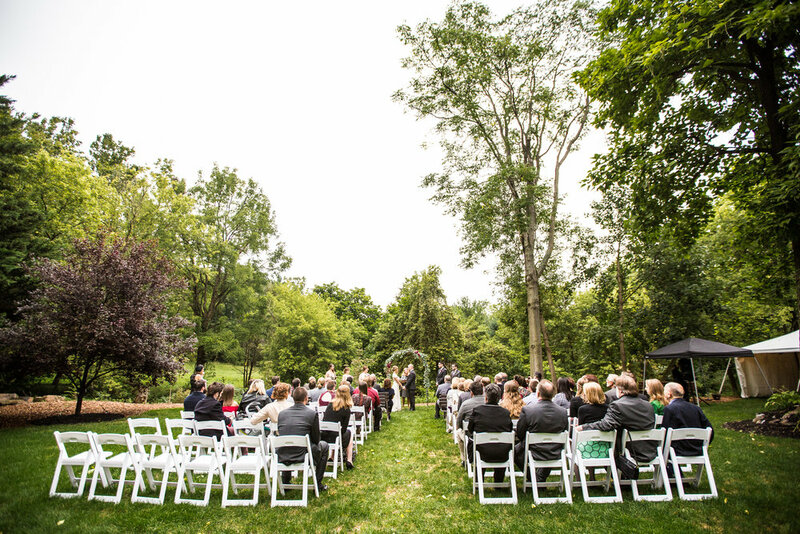 There are multiple backup ceremony spaces in case of rain, which will ease your mind! We would love to be the backdrop for your perfect wedding day! Click below to contact us about booking your wedding at the Eicher Arts Center!